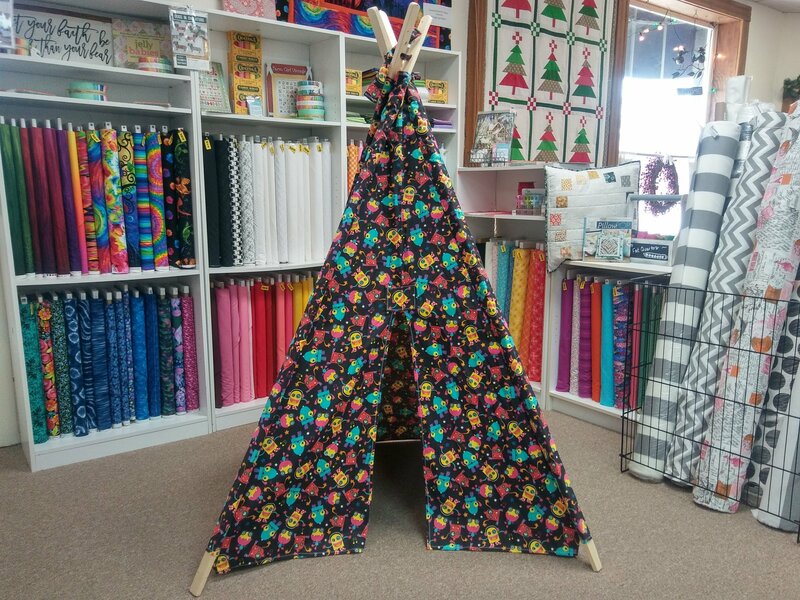 This soft cotton flannel teepee features red, aqua blue and yellow aliens on a black background. Our play tents are handcrafted with serged seams for years of enjoyment. Planed and sanded pine poles are included with all of our tents!